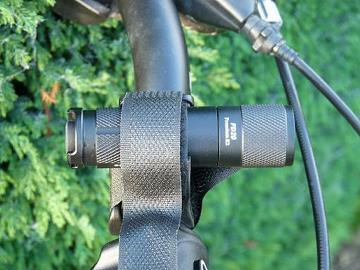 This bar mount is basically identical in appearance and action to the Twofish Lockblock and fits virtually all size handlebars and most AA and CR123 torches. Probably not suitable as a very secure mount for some of the more substantial torches as with the Lockblock eg LED Lenser P14 but offers brilliant flexibilty for the smaller torches. For shipping to other European and Worldwide countries this item with packaging weighs just 15 grams, please refer to shipping for prices.